Home » Blog » What digital transformation challenges face the public sector when it comes to telecoms? 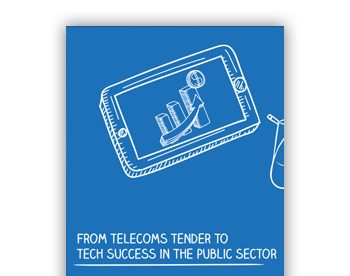 What digital transformation challenges face the public sector when it comes to telecoms? The government finally laid out its vision for public sector digital transformation in February. Yet publishing a technology infrastructure wish-list online and actually delivering it are two different things. We’ve already shown here on the blog that voice is still crucial; that peaks in demand can cause headaches for legacy systems; and that unscheduled downtime needs a good disaster recovery plan. The EU’s General Data Protection Regulation (GDPR) comes into effect in May 2018. And the UK public sector will soon need partnerships with EU (and global) partners to ensure the uninterrupted, unhindered flow of data into, and out of, our island nation. These partnerships will affect everything from medical records and legal documents, to identity checks, and criminal databases. All of which are vital to every government body. The task is positively Herculean. And given that telecoms will be among the channels used to clarify sensitive data, no effective transformation can commence without compliance. Breach of GDPR – even if that breach is by a third party – carries a maximum fine of 4% of annual worldwide turnover, or €20m (£17m) and public announcement of the breach. One mistake could be crippling. And non-compliance is not an option. Yet tech considerations for the public sector don’t stop with regulations. For many IT Directors within the public sector, their telecoms journey from A to B can be can be endlessly disrupted by external factors. The job of finding a solution to meet their IT needs is becoming harder and harder. In the Autumn statement, the chancellor pledged £740million to the development of 5G and full fibre connections for the general public and businesses, with further funding commitment in the Spring budget. It’s a relief given that, since Brexit, year on year government spending on technology had dropped by 36%. But within the public sector, funding is leaner. And blue light services are in the crosshairs. The Metropolitan Police, for example, must still find another £400m in savings by 2020 (on top of the £600m already found since 2010), at a time when it’s looking to be “the best digital police force” and wants to transform “the way the public can get help from police through digital channels, in a relationship based on transparency and accountability”. Many Londoners still rely on the traditional 999 telephone number, so future-proofing systems to enable multi-channel conversation is critical. This situation extends to all blue light services, with cuts and pressure across the board. Despite its challenges, the public sector knows it must commit to staying relevant. That means developing innovative consumer technology, and enabling it for the good of its users. With that in mind, NHS England is committing £35m to apps that track those at risk of suicide or self-harm, as well as other mental health issues. The app monitors the content of texts, and the regularity of phone calls, to alert services to potential risks. But the back end has to match the new technology. Increasingly, as more of these initiatives come online, the strain on any legacy telecoms systems that have been thus far passed over for digital transformation will become painfully apparent. Especially if the government’s appetite for innovation is anything to go by.